Hear it from the players: they want more, not less. Why are they denied the opportunity? 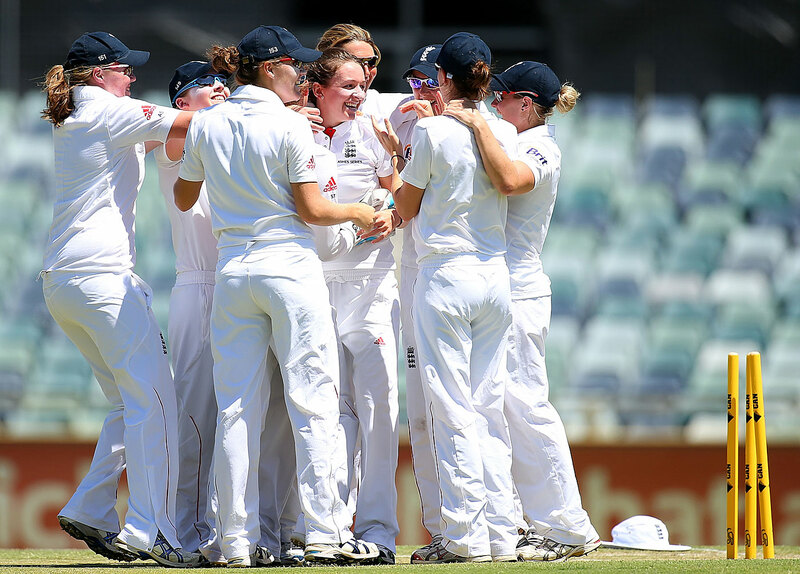 5.06pm, August 14, 2015, Canterbury: Sarah Coyte traps Anya Shrubsole lbw, England are knocked over for just 101 in their second innings, and Australia win the one-off women's Ashes Test by a mammoth 161 runs. An hour later, in the post-match press conference, captain Charlotte Edwards admits that the defeat is among her lowest moments in her 10 years as England captain. "Any time you lose an Ashes match is disappointing," she says. Yet this match, this time, is different. It is not simply that England have batted in what might generously be termed an overly defensive way, playing out 34 maidens and 436 dot balls on their way to 168 in the first innings. It is that every single one of those dot balls has been televised live for the world to see. When Sky agreed to broadcast this game, making it the first women's Test with live ball-by-ball telecast in England, this is probably not quite what they had in mind. In the days that follow, a media storm ensues. Mike Atherton in the Times writes: "It was tedious viewing… Other women's sports look dynamic on television… and this, clearly, did not." Perhaps most damning of all, though, is Mike Selvey's piece in the Guardian. "It was excruciating," he writes. "Why anyone would want to watch out of choice is beyond comprehension. At a time when the game needs all the good publicity it can get, with high-class performances from its elite players, they produced - for anyone who stumbled across it or was drawn to it out of curiosity - the worst possible advertisement." Even 12 months previously, in August 2014, the ECB head of women's cricket, Clare Connor, had described women's Test cricket as "hanging by a thread". Since 2005, when the ICC took over the administration of international women's cricket, a mere 15 Tests have been played; the longer format of the game has been lost in a sea of ODIs and T20s. But calls for its abolition have perhaps never been so loud or insistent as now. "Sometimes (and in this case, for the good of the game)," writes Selvey, "you just have to let go." At a time when the focus must of necessity be on increasing audiences for the women's game, why bother with Test cricket at all? Connor, in both her role at the ECB and as chair of the ICC's Women's Committee, recognises that this is a question the ICC needs to tackle. "We have to keep being relevant, we have to keep asking the big questions," she said at a press conference after the Ashes were lost. When I interview her for this piece, she describes the problem. "You could argue from a purely commercial and growth perspective that in the time it takes to prepare for a women's Test match, and play it, you could play a five-match T20 series, sell out five grounds, attract a new audience to the game, make money for the game, present the best skills that the players have got to offer in terms of their ability to entertain - and that is quite a hard argument to counter." It is certainly the argument that appears to have held sway among cricket boards since 2005. For the first 71 years of international women's cricket, series of multiple Tests were the norm. What changed? Put simply, the people running the sport. Until the ICC takeover of women's cricket in 2005, the International Women's Cricket Council (IWCC) - a body staffed by female administrators, generally ex-players - had responsibility for the Future Tours Programme. Yet the joint ICC-IWCC report on women's cricket published in 2002 concluded: "As a separate entity women's cricket struggles to be recognised... The history and tradition of the IWCC are important, but if the IWCC resists change in order to maintain those, it is setting itself up to become an irrelevant body with nothing to offer the game or its members." The conclusion was that the only way forward was to work towards amalgamation with the ICC by 2005. An ICC-imposed condition of the eventual merger was that all remaining independent women's associations would join up with their male counterparts, which duly occurred. The alteration in the attitude to Test cricket can be traced back to this. An IWCC survey conducted in 2000, five years before the merger, showed that "all countries indicated support for a combination of Test and one-day cricket"; the Women's Cricket Association of India felt that "without Tests, women's cricket would be seen as having no Test players and the game would suffer". Yet since 2005, the argument advanced by most boards has been that the focus must overwhelmingly be on the shorter formats; women's Test cricket is expensive and provides little financial return. There are no women on the main ICC board, and some national cricket boards now have very few women in senior positions. The voices of female players have been almost entirely removed from the global governance of what was for so long their sport. The players themselves would never have wanted to stop playing Tests. Wormsley, England, August 2013: England are 113 for 6 in their first innings, in response to Australia's 331. As Laura Marsh joins Heather Knight at the crease, both know that England are in huge trouble. It is the moment on which the result of the match will hinge. Knight recalls every ball of that innings in technicolor detail. "I remember when the Aussies declared on day two just before lunch, that flash of adrenaline and nerves, knowing that I was going to have to go out to bat with them 300-odd ahead. But I just thought, 'I'm going to bat positively.' I knew I was in a good place with the bat that summer, I felt in really good nick. "As wickets started tumbling around me I remember feeling quite a lot of pressure, and just trying to absorb it really. And then myself and Marsh just got in a groove really. "I suddenly found myself in the nineties. I remember nearly getting out on 99, I dropped it into the leg side and Ellyse Perry nearly ran me out with a direct hit! Then getting to my century - amazing. I had a few mates and my parents in the crowd, and I raised my bat and gave them a bit of a salute." The pair eventually remain together at the crease for almost an entire day, as they accumulate a partnership of 156, a record seventh-wicket stand for England in Tests. Knight hits 157, the third-highest score for England in an Ashes Test. England will go on to draw the Test and win the series. 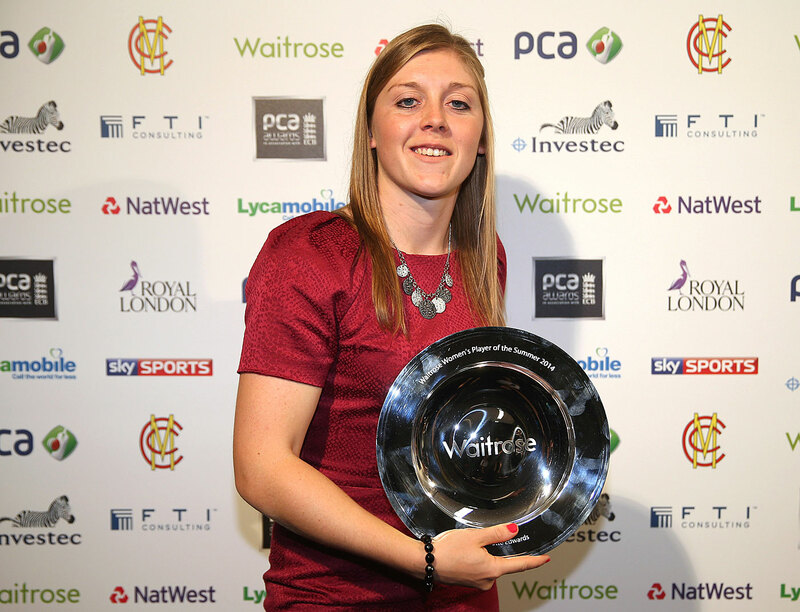 For Knight, it is the undoubted highlight of her career to date. Why? "Test matches are so few and far between. It makes it all the more special." A Test century in women's cricket is still something to be treasured. Almost exactly a year later, again at Wormsley, Knight - who has been a revelation with the ball since she took up spin in late 2013 - is experiencing another special moment: her first Test wicket, as Poonam Raut prods at a ball outside off stump and edges it to Jenny Gunn at first slip during India's run chase. "It was an amazing feeling," she recalls. "The most elated I've been, taking a wicket for England. That's what I love about Test cricket, that feeling when someone takes a wicket after working so hard, putting a plan together to take a wicket, and everyone goes mental!" For the Indians, it is their first Test in eight years, and they are fielding a side of eight debutants. Yet they bowl England out for 92 and 202 and chase down the 183 required of them in the fourth innings. As Shikha Pandey hits the winning runs through extra cover, her team-mates storm the pitch in celebration; the delight on their faces is plain for all to see. Eighteen-year-old Smriti Mandhana, who scores 22 and 51 in the match, describes a Test win for her side as "a dream come true". And the captain, Mithali Raj, says it is one of the sweetest victories in her career. Raj gets to experience the feeling again three months later, when her side meets South Africa in another one-off Test. Thirush Kamini and Raut star for India with a 275-run second-wicket partnership, and India thrash their opponents by an innings. And yet, for the South Africans - only three of whom have ever played in a Test before - there is still a sense of joy at the mere opportunity to participate in this longer form. The captain, Mignon du Preez, recalls: "The Test was kept a surprise. We only found out about a month before the tour. I was extremely excited, as were the rest of the team. To represent your country in a Test match is a huge honour." Du Preez, on debut, makes 102. "Walking out to bat I tried to seize the moment by walking slowly and taking everything in," she says. "I was mainly focused on batting till the end of the day. I set small targets for myself and I tried to keep it very simple and stuck to basic batting. Runs were not really my main focus." On the challenge of captaining, having played almost no multi-day cricket previously, du Preez says: "My mind was working non-stop trying to think of a plan B, C or even D if any of the previous plans didn't work. So I found it quite draining." "But," she adds, "I would not change the experience for anything in the world." And then there is Canterbury, 2015. Not a match in which England cover themselves in glory. But for the Australians, the moment when that last wicket falls on the fourth afternoon is one to treasure. They have met the challenges of Test cricket with patience and intelligence. Meg Lanning, captaining in her maiden Test, describes the experience as "a great honour". Player of the Match Jess Jonassen, with scores of 99 and 54, has batted for a total of five hours and 49 minutes. "I don't think I've ever concentrated that long in my life," she says. "I was really proud of myself that I was able to do that." It means all the more because she is playing her debut Test, and received her baggy green from ex-international Mel Jones on the first morning of the game. It is another common experience among the players: the treasured memory of receiving their first Test cap. "As a kid, it's the first thing that you want to do," says Kate Cross, who received hers in Perth in January 2014. The more you talk to players, the more intensely sad it is to think about the possibility of that experience being taken away. Some are already having to face up to that reality. Question: what have New Zealand, Pakistan and West Indies not done since 2004, and Sri Lanka done only once ever, back in 1998? Answer: play a women's Test. Sara McGlashan is one of very few women in the current New Zealand squad who has played Test cricket, against India in 2003 and England in 2004. She has welcome memories of both those games, particularly the first, in the western Indian town of Vapi, which eventually ended in a draw. "It's still probably the biggest crowd I've played in front of," she says. "I still remember the pitch invasion at the end of the game!" No one in the team, she says, had any idea that they would still be waiting to play a Test since the 2004 match. 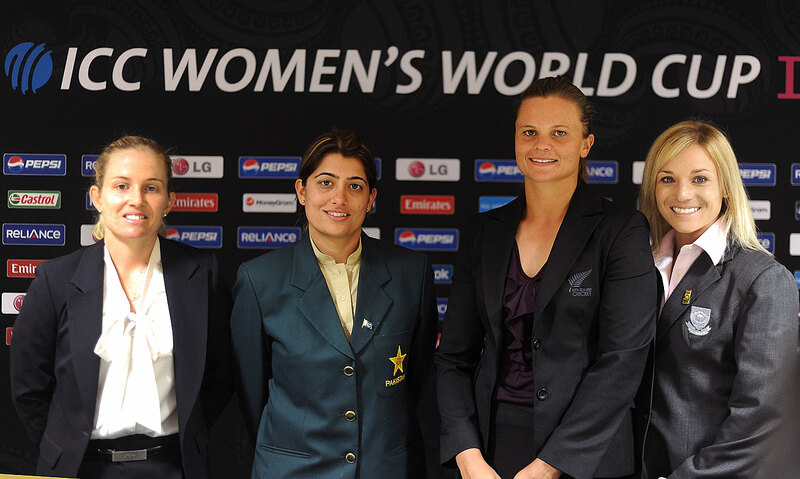 Suzie Bates, the current New Zealand captain, has felt the full impact of that decision. Having made her international debut in 2006, and won accolades ever since for her leadership and batting skills, she admits that she still feels cheated that she has never had the opportunity to play a Test. "Being a cricket fan growing up and watching the Black Caps playing Test matches, I always was a bit envious of that and wondered what it would be like," she tells me. Why, I ask? "As a batter, it's the ultimate test in terms of patience and being able to construct an innings in different conditions. New ball, old ball, the pitch changing over the five days, it's just all those challenges within a Test match that you don't get in the shorter format. I guess I just see it as the ultimate test of cricket." She recognises, though, that if she is ever to achieve her dream, time is running out - rapidly. 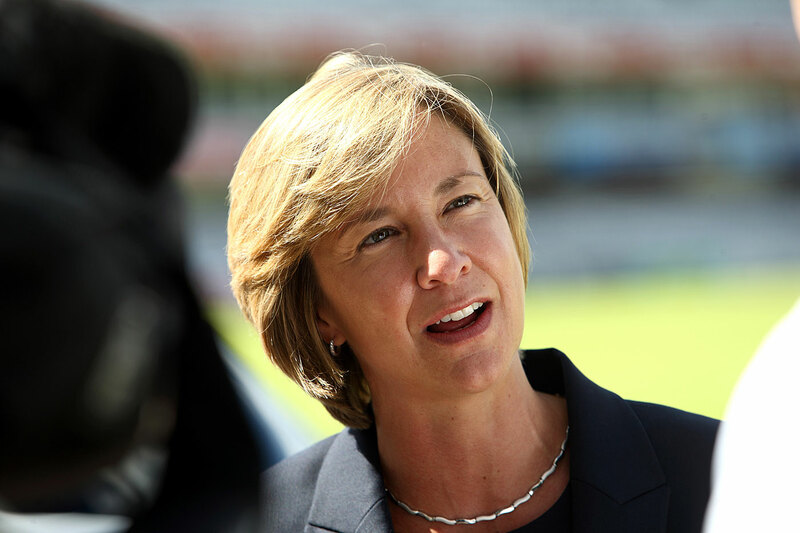 It is no coincidence that, as an ex-player who herself played 16 Tests (more than many of the succeeding generation will ever get close to), Connor is the biggest advocate of women's Test cricket in the sport's administration. "Some of my greatest memories are from Test cricket," she tells me. "I cried when I took my first Test wicket, at Hyderabad - the only time I ever cried on a cricket pitch. I can remember that vividly. It was a Test wicket, and I'd grown up on a diet of Test cricket as a kid. "It felt like it was precious to me, even though I played more of it than the current generation. It felt like it was proper cricket." Is this why she has fought so unequivocally for the continuation of the longer format? "Yes. It's sacred for the players, and part of my responsibility [as an administrator] is to be a custodian of the game, and to provide the players with the best possible experiences in the game. I will fight to continue with Test cricket." In any case, do the arguments of those like Selvey, who argue that the Test format for women is "patently unsuited to their skills" and that matches like Canterbury are "the worst possible advertisement" really stack up? If you take even the briefest look at the history of the sport, Canterbury shows up as an aberration. Women have been playing Tests since England and Australia met in Brisbane in December 1934; the English and Australian women's cricket associations spent years organising jumble sales and raffles in order to be able to afford to stage Test matches. Betty Green, the manager on the 1934-35 tour of Australia, wrote: "The tour was a success; definitely so: not because the English team returned unbeaten... but for far more important reasons. Our fifteen players established most friendly relations everywhere with opponents, officials and the general public. Men who interpreted 'women's cricket' as a soft-ball caricature of the game, watched out of curiosity the first day and out of interest the second and reported it as 'good cricket played by women'… critical crowds were well satisfied." From the earliest days of women's Test cricket, thousands showed up to watch; at The Oval in 1951, 15,000 fans paid to see England beat Australia. Even after limited-overs cricket took root in the 1960s, women's Test cricket was seen as a highlight in a world where cricket as a whole was becoming dull and boring. "The girls give us brighter cricket,'" wrote EM Wellings, having watched England Women play a Test in Melbourne in 1969. "In one important respect it was what men's cricket once was - a briskly moving game. Oh that modern time-wasting man would stir himself to fit 37 overs of eight balls each into two hours before lunch as the Australian girls did." Meanwhile a feature on Rachael Heyhoe-Flint in the Guardian in 1973, two years after the first men's one-day international was played, suggested that her style of play was "dashing. She does like to go on a run spree." The media, it seems, did not always believe that Test cricket was something to which women were not suited. 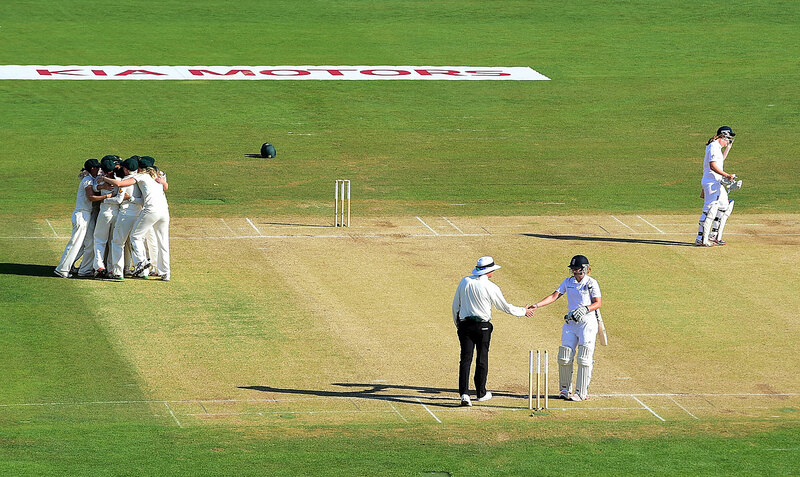 It did not really seem that way in Perth in January 2014 either, the Ashes Test match before the debacle in Canterbury: across four days at the WACA, the players produced the kind of Test cricket - men's or women's - that is utterly captivating from first to last ball. It was a low-scoring game, in which the highest score was Australia's first-innings 207; a game where the fast bowlers could rip through a side when they had a new ball in their hands, where momentum ebbed and flowed between the two teams, with either looking capable of victory right up until the final morning. It was a game where even those in the press box who are supposed to display a facade of neutrality - myself included - could not prevent themselves from suffering regular heart palpitations. Do the arguments of those like Mike Selvey, who argue that the Test format for women is "patently unsuited to their skills" really stack up? Charlotte Edwards, who made her Test debut in 1996 and has now played 23 Tests, describes it as "the most incredible match I'll ever play in". Kate Cross, who was on debut and finished up with match figures of 6 for 70, feels similarly. "Even though it was 40, 50 degrees, and it was difficult and we'd never been in a situation like that, where we were fighting for four days, I still really enjoyed it and I had so much fun out there. "I enjoyed that you've got to do it all in sessions. You actually had a little bit of time to get into the game, and get into a spell, and it's so frantic now when you play one-day stuff or T20 stuff, you've not even got time to think." By contrast, she remembers all six of her wickets from Perth in glorious detail. "For me the biggest part of that Test match was the spell I bowled on the third day, when I took three wickets in seven balls," she says. "I can pretty much remember every emotion I had for that hour that I bowled… I just felt so good running in, I felt I could make such an impact on the game that I didn't want anyone to take that away from me." Selvey wrote after Canterbury: "Playing Test cricket is an indulgence, which the women may well enjoy but which… is not something that can be said for spectators." Would that he and any other detractors of the women's Test format had been in Perth. It is sobering to think that had it not been for the new multi-points Ashes format introduced by Connor in 2013 (whereby Cricket Australia were persuaded to retain the Test match by agreeing to contest the Ashes across all three formats of the game, each worth a set number of points), that Perth Test might never have happened. Surely Test cricket, when it is as breathtaking as this, has as much of a part to play in growing the women's game as the shorter formats do? Would you like to play more Tests? I ask the players. The verdict is unanimous. "We'd like to play one or two a year," says du Preez. "Test match cricket would help our cricket tremendously, and I would be all for playing Test matches," says team-mate Marizanne Kapp. Cross sums up the English perspective: "If you ask anyone in the squad, everyone loves playing Test match cricket. The first thing we did when we got our kit this summer was open our whites, open our jumpers and stuff." And England captain Edwards says that in conversations with players from around the world they repeatedly reveal an appetite for more. "Pakistan or Sri Lanka playing in a Test match, they'd love it!" In fact, if we are going to learn anything from Canterbury, perhaps it is not that we should give up on women's Test cricket, but that more of it is needed - in order to produce more games like Perth. Kapp attributes her side's poor showing against India in their Test last year precisely to their lack of experience in the format. "After bowling for a whole day in the thick heat, something just went. Because it was not what we expected. We were playing with a ball that I've never seen before… we got there, had two training sessions, and then we went straight into that four-day match. You can't expect the girls to play a Test as good as the men if they've never really played. You can't play one a year." Edwards agrees. "You can't criticise the game if you're not playing it, because we're all learning on the job… Every time we go back, it's like, 'Right, okay, what do we need to remember from the last time we played?' It's quite difficult. Especially for younger players… if you can play three Test matches a year, you're going to be better at Test cricket." Perhaps it is also time to recognise that more Test cricket does not just mean better Test cricket but better female cricketers full stop. Edwards is an exemplification. Acknowledged as probably the best batsman the women's game has ever seen, and now second on the list of all-time run scorers in women's Test cricket, it was surely at least partly her early grounding in Test cricket - she played four Tests in the first two years of her career - that made her the player she is today. It was back in the 2005 edition of Wisden that ex-international turned cricket writer Sarah Potter first expressed concerns over the future of the Test format for women. "Women's Test cricket," she wrote, "is an endangered species." Far too few were being played already for her liking. She concluded with a prescient warning. "If international sides give up on 70 years of history, something more valuable than tradition will be lost. It's called credibility. Won't play [Test cricket], or can't play it? The question may as well merge into one damning sneer." This is precisely what is at risk of happening after Canterbury - that the myth that women are less capable, less effective cricketers, all because of their failings in one Test match, might somehow be allowed to take hold. In fact, expanding the fan base of the sport depends at least partly on credibility - and credibility in turn depends on the opportunity to participate in the pinnacle format. Teams cannot keep playing one Test a year in the current climate of media scrutiny, whereby each Test is held up and examined with a fine toothcomb. The ICC needs to display a clear commitment to the format. There are encouraging signs, including the BCCI's recent enthusiasm for women's Tests - most lately demonstrated in their attempts to organise a Test against Australia during India Women's tour there in early 2016. The fact, too, that the ICC's new women's cricket rankings are based on performances in all three formats of the game, including Tests, suggest that women's Test cricket is not dead, not yet. The obvious next step is for the ICC to mandate that the format in place for the women's Ashes is used for all bilateral women's cricket series. Already they have put in place the ICC Women's Championship: effectively a Future Tours Programme for women's cricket, with each of the top eight nations required to play each other in a minimum of three ODIs prior to the next World Cup in 2017, to determine who qualifies automatically for the tournament. Why not go one step further and state that in addition to these ODIs, teams must also participate in a Test and three T20s, all worth a specified number of points? What does speaking to the players tell us? That they care passionately about Test cricket. It is and always has been the pinnacle of their sport, just as it is for male cricketers. If Test cricket disappears, something the players hold dear will also be lost. While they have the full support of Connor, at least, it remains to be seen whether she will be successful in her efforts. "I would not want to be an administrator or in this seat on the day that women's Test cricket is abolished," she says. "But it may be that I have to be."